Creating a deck for your home requires a lot of thought and planning, and one feature that should not be forgotten is the deck’s fastening. There are a variety of choices, each which offer a different look and method of fitting. For the ultimate clean finish, the 3mm are the best hidden deck fasteners for the job, as each board will be spaced exactly 3mm apart. This concealed fastener is easy to fit thanks to its larger screw head that doesn’t strip, allowing you to screw the fastener down before pushing up the next board. As with all decking projects, the joists need to be sturdy, the base secure and other structural components sound, but the fasteners holding the boards in place are also critically important. A hidden deck fastening system is a popular method of stabilising the individual planks via a composite decking clip that is secured within the grove or channel at the side of the deck board. Composite decking hidden fasteners have multiple benefits over other, screwing through the boards. They hold a key functional advantage over face-screw systems are they are less likely to succumb to general wear and tear, as the planks are secured from the side of the board rather than the top, increasing the lifespan of the entire structure. There are no risks involved when walking on the decks, as all hardware is completely hidden, perfect if you have children or pets. 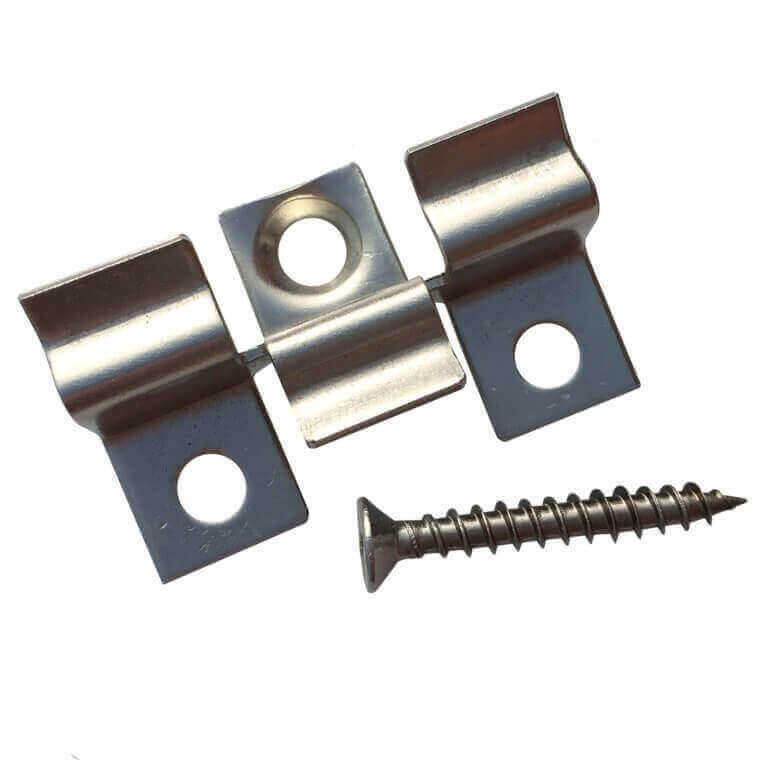 Additionally, the overall appearance of the deck will be greatly improved when using hidden deck board spacers, as these concealed fasteners are easy to hide. It can be difficult to make exposed screws look natural, even with a masterful paint job. Using 3mm composite decking fixings also greatly improves the appearance when looking down between the boards, as the smaller gap means the joists are completely hidden from view.